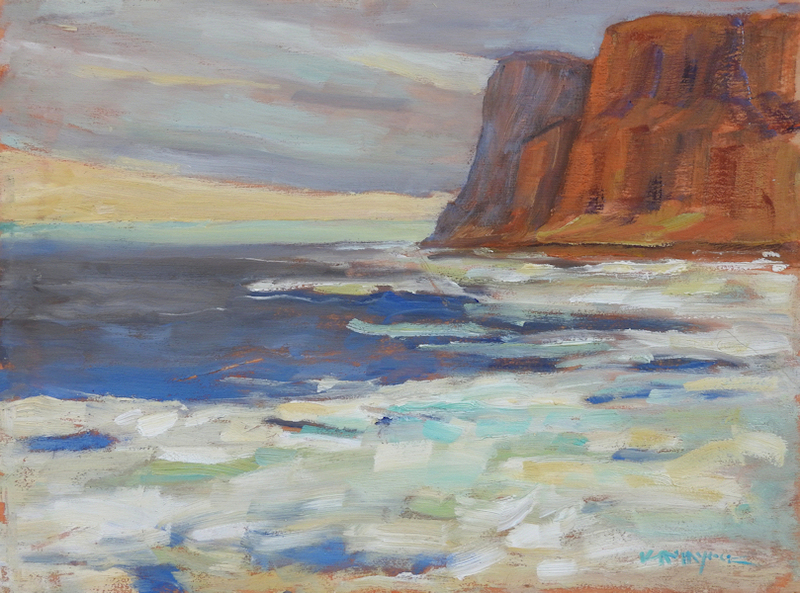 Though mainly self taught, Kathy’s view is strongly influenced by her father, Arctic painter Maurice Haycock, and by his close painting partner of 30 years, A. Y. Jackson. 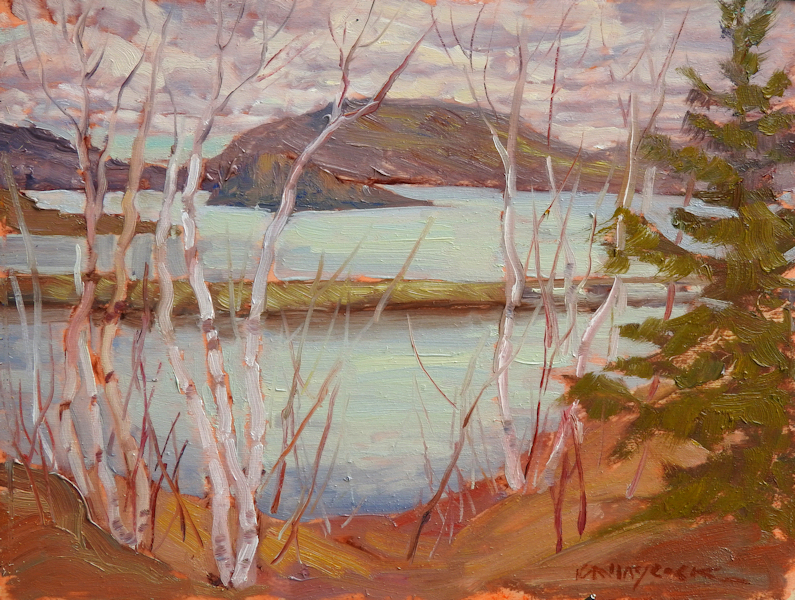 She grew up surrounded by their work and first glimpsed Canada’s vast land in the paintings they brought back from their numerous sketching trips across Canada. Kathy began weaving in 1973. Arctic trips with her father to Beechey Island in 1975, and Baffin Island and Greenland in 1984 introduced her to the lure of the North and inspired a graceful sweeping rhythm in her work. The flowing, uninterrupted land lent itself to lively, fluid woven images. After years of tapestry weaving, stained glass, design and pastel painting she tried oils and instantly fell in love with them and on-site painting. 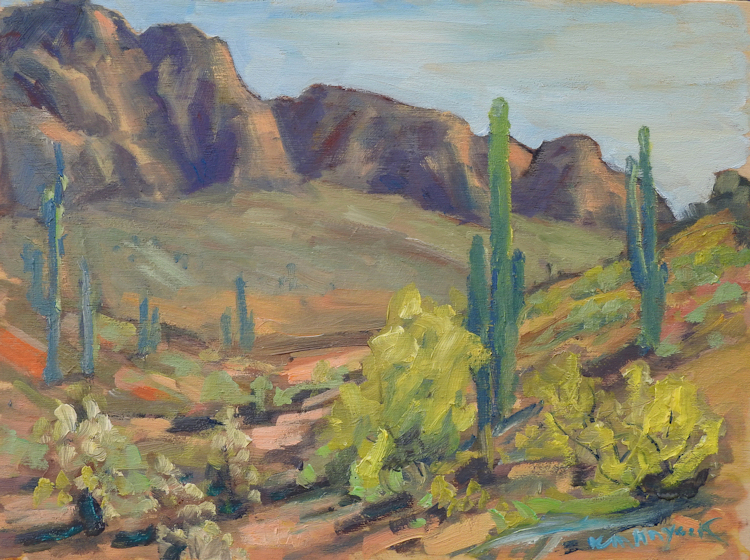 Kathy delights in sitting within a wilderness scene, quietly becomes a part of it, and painting her experience of being there. The Algonquin wilderness around her home in Eastern Ontario provides unlimited subject matter. She usually paints alone or with fellow artists Joyce Burkholder and Linda Sorensen of the group called “Wild Women, Wilderness Painters,” and artists of the East Central Ontario Art Association. She is also a member of Arctic Quest, Polar Artists Group, Artists for Conservation (AFC) and the local annual Madawaska Valley Studio Tour. In 2006 she was juried into the Society of Canadian Artists (SCA) and in 2018 the Ontario Society of Artists (OSA) .